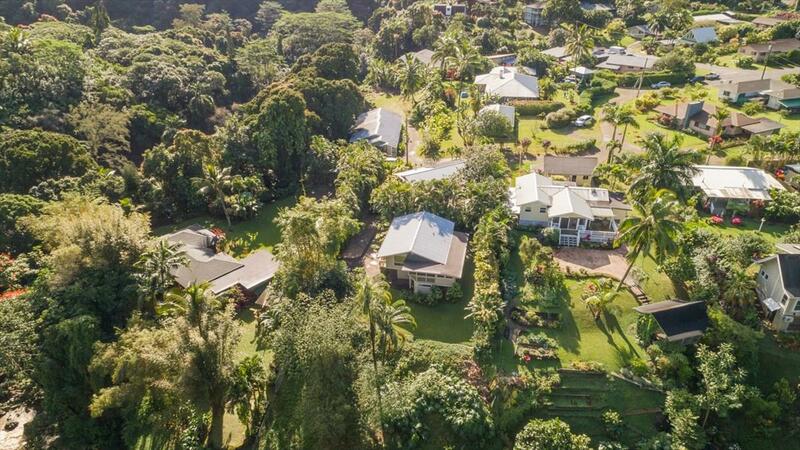 One of Kauai's Unique locations ~ Good enough for past Hollywood movies! 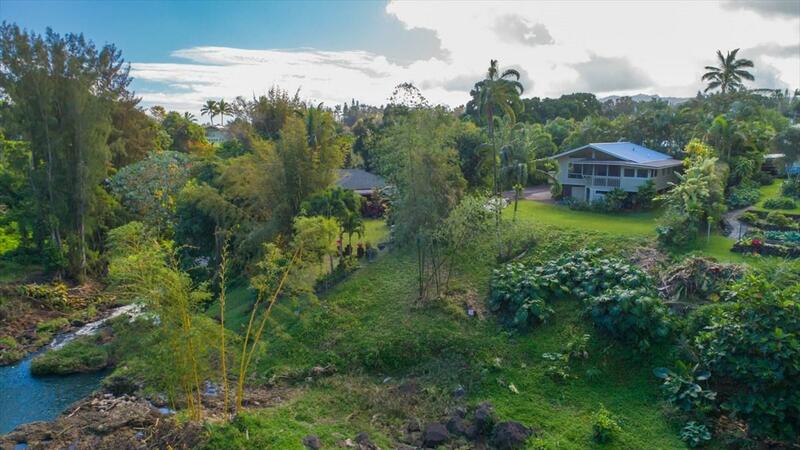 Located above the stunning Kilauea Stream and waterfall where the movie "The South Pacific" & "Six Days Seven" nights were filmed.This home sits above this beautiful setting. 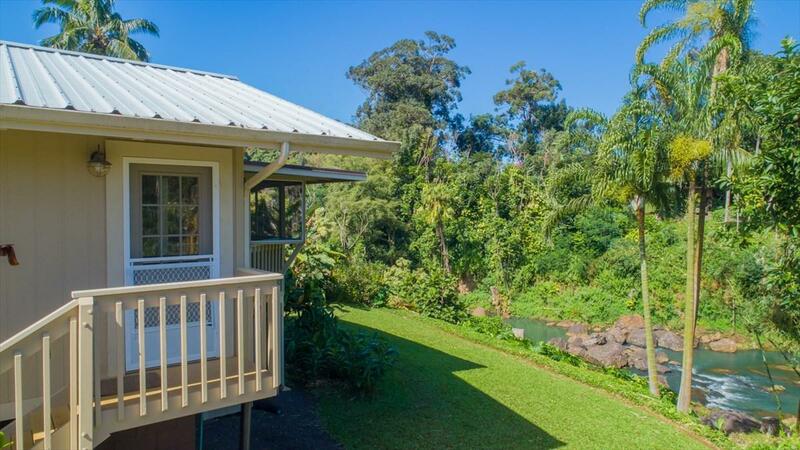 It is also known as the "The Slippery Slide" in the Historic town of Kilauea where you can still feel the old charm of this bedroom community yet you're embraced by the feel of nature - hearing the shhhhh of water as it cascades down the rocks below ("Slippery Slide"). A constant soothing sound in a private peaceful setting ~ yet you're less than a mile from the new shopping center and great restaurants and the Healthy Hut store is within walking distance.The 2 bedroom home is simple and charming with nice granite counters in the kitchen. Vaulted open beam ceiling in the living area add to the open floor for island living!At the end of the day the buyer for this home is someone who wants one of Kauai's most unique "VIEWS and LOCATION!EVEYONE KNOWS THAT WHEN BUYING REAL ESTATE ITS ALL ABOUT ~~~~~ Location ~ Location ~ Location !!! !currently: Seller is in the process of updating the CPR and building records and can only accept non-binding preregistration agreements.